The project wants to promote energy efficiency increasing the use of wind energy through the development of a new wind turbine. The idea has already been patented in Canada by our partner but not in Europe. A small prototype has been built but there is a further need to research and develop the turbine. This 5 kw system can be used in rural, urban, residential or commercial environment and installed on roofs. It can be used in all weather conditions, from a wind speed of 2 m\sec but also with wind speed of 15- 20 m /sec with no cut system. Maintenance costs are reduced in comparison to systems with horizontal axes and estimated to be 2-3% of the investment cost. The life cycle is expected to be longer. We are looking for construction companies, architecture or design companies. Please email us at infonetwork (AT) igcsas.it for further information. 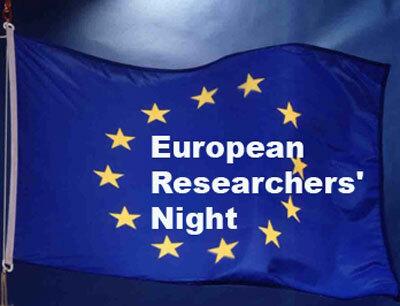 The European Commission has published its 'Researchers' Night call for proposals, which is part the EU's Seventh Framework Programme (FP7). Taking place every year since 2005, the Researchers' Night benefits from an ever-increasing success and impact, both in terms of number of people reached and benefits to the Marie Curie Actions. Its main objective is to bring the researchers closer to the public at large, thereby enhancing their role in the mainstream of society. With a budget of EUR 4 million, the call for proposals allows for a greater cohesion between the various actions supported, their scale, the target audience and the messages delivered. The Marine Strategy Framework Directive (MSFD) promotes the integration of environmental consideration into all relevant policy areas and delivers the environmental pillar of the future maritime policy of the European Union. An ecosystem-based approach to the management of human activities is central to the implementation of MSFD and to attaining its overall objective to take the necessary measures to achieve or maintain good environmental status (GES) by 2020.